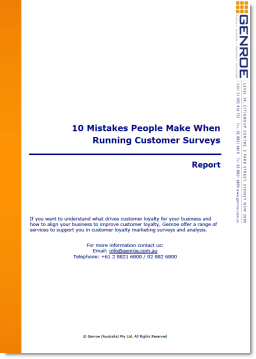 A while ago, “What’s Wrong With the Net Promoter Score” by Augustine Fou was posted on ClickZ. Sure, Net Promoter Score has it’s critics but I flagged it for detailed review and response because it contained a large number errors and mis-statements that I wanted to comment upon. As it happens, when I went back to review the article, I found lots of other people felt the same, judging by the volume of comments attached to the article. Before I go further, I should say that I’m not a blind supporter of NPS®. I only support it because it has been shown empirically to work. I support it for the same reason that I use the telephone: I don’t know exactly how it works but it does, and I’ll continue to use it until it stops working or something better comes along.